Whether it's Fielding's Squire Western with his Horses, Dogs and Bottle, or Austen's Sir John Middleton with his dogs, or Bronte's Mr. Rochester with his dog, Pilot, Siegfried Farnon, the vet from All Creatures Great and Small, or James Fleet's character in Four Weddings and a Funeral with his beloved black Lab, Englishmen are known for their close relationships with their dogs. And never more so than in the past. 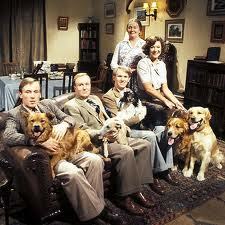 Englishman have always had dogs, haven't they? Yes, of course, they have. They're mad about the creatures. But the stereotypical image we have today of the Englishman with his Labrador retriever or his Jack Russell terrier is actually quite a recent phenomenon, dating only back 150 years or so. The short-coated Labrador retrievers (which are ubiquitous in the country) didn't originate in Labrador, but in Newfoundland, and the first mention of them there is in 1822, when a traveller there wrote of "small water dogs", commenting that "The dogs are admirably trained as retrievers in fowling, and are otherwise useful...The smooth of short-haired dog is preferred because in frosty weather the long-haired kind become encumbered with ice on coming out of the water." Subsequently (sorry I can't find a date for it), the Earl of Malmesbury saw one of these animals which had been brought home by some English fishermen and instantly decided to have some imported. By 1830, a sportsman by the name of Colonel Hawker was writing of them and calling the St. John's breed of water dog, saying they were "by far the best for any kind of shooting. He is generally black and no bigger than a Pointer, very fine in legs, with short, smooth hair...is extremely quick, running, swimming and fighting...and their sense of smell is hardly to be credited." But it isn't until a letter, written in 1887, by the Earl of Malmesbury, that they're given the name by which we know them today: "We always call mine Labrador dogs, and I have kept the breed as pure as I could from the first I had from Poole, at that time carrying on a brisk trade with Newfoundland." "It was a glorious afternoon towards the end of May, when strolling round Magdalen meadow with Horace in hand, but Beckford in his head, he [Jack Russell] emerged from the classic shade of Addison's walk, crossed the Cherwell in a punt, and passed over in the direction of Marston, hoping to devote an hour or two to study in the quiet meads of that hamlet, near the charming slopes of Elsfield, or in the deeper and more secluded haunts of Shotover Wood. But before he reached Marston a milkman met him with a terrier – such an animal as Russell had as yet only seen in his dreams; he halted, as Acton might have done when he caught sight of Diana disporting in her bath; but, unlike that ill-fated hunter, he never budged from the spot till he had won the prize and secured it for his own. 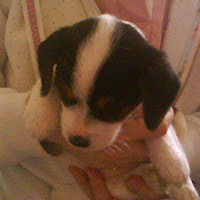 "She was called Trump, and became the progenitress of that famous race of terriers which, from that day to the present, have been associated with Russell's name at home and abroad – his able and keen coadjutors in the hunting-field..."
So...what's the novelist to do when writing about pre-Victorian times. What kinds of British dogs would have been common in the homes of the gentry or aristocracy? In the homes of farmers? 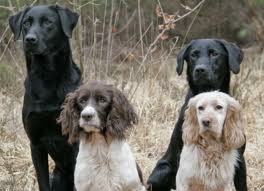 Spaniels are and were always popular (see above, sharing the picture with the black Labradors). They're brilliant gun-dogs--and that in any age when shooting was a means of putting food on the table would have been essential. Spaniels in some form or other date back at least to 1368 and these dogs come to be referred to as either land spaniels or water spaniels. 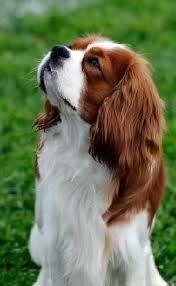 Brittany spaniels, for example, probably date back as far as the 3rd century. But the first records that really pin down an actual Brittany-type spaniel are in 17th century tapestries and paintings. Perhaps the best known though are what we now call Cavalier King Charles spaniels. These small companion dogs are direct descendents of the small Toy spaniels that were popular throughout the 16th, 17th and 18th centuries and are often seen in the paintings of those eras. (Madame de Pompadour had one.) Even in Tudor times, they were popular as pets with court ladies. 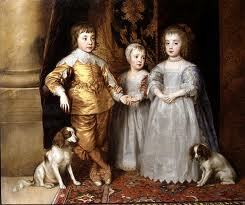 But it was the Stuart kings, particularly Charles II, who gave them their name and reputation. "About noon (though the brigantine that Beale made was there ready to carry him) yet he would go in my Lord’s barge with the two Dukes. Our Captain steered, and my Lord went along bare with him. I went, and Mr. Mansell, and one of the King’s footmen, with a dog that the King loved,1 (which [dirted] the boat, which made us laugh, and me think that a King and all that belong to him are but just as others are), in a boat by ourselves, and so got on shore when the King did, who was received by General Monk with all imaginable love and respect at his entrance upon the land of Dover." Other breeds which are surely old enough to figure into the lives of earlier generations of dog-loving Brits include Mastiffs, which Caesar described in his account of the invasion of Britain in 55 B.C. The Scottish Deerhounds and Irish Wolfhounds were originally one breed, but by 1576, the Deerhound was recognised as different, and highly valuable for the pursuit and killing of deer--a most coveted sporting occupation. Both animals, although technically hounds, are rarely kept as kennel dogs because of their affectionate natures and love for human companionship. And then of course, there are the packs of hounds--foxhounds and beagles, both of which are used for hunting and are kept in kennels and hunt in packs. M.M. Bennetts is kept in line by two of the aforementioned creatures, a Cavalier King Charles spaniel with the temperament of the Dowager Countess of Grantham, and a Jack Russell terrier possessing all the character and charm of the Artful Dodger, but with sharper teeth. 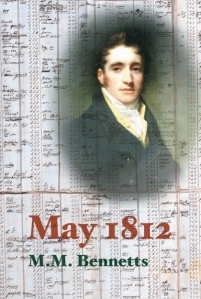 The author is also a specialist in early 19th century British history and the Napoleonic wars, and has written two novels set in the period--May 1812 and Of Honest Fame (both featuring dogs)--with a third book underway. For more information, please visit, www.mmbennetts.com. Wonderful, informative post. Thank you! Lovely post. I tried to show it to my two spaniels but they were too full of energy to look at it! Yesterday I read that the famous Lord Kitchener was too short-sighted to have any success at shooting, and therefore named his three dogs Bang, Miss and Damn! 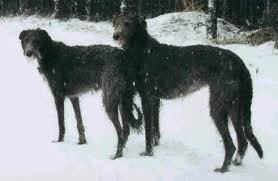 That is sad, to read Charles II's dogs were stolen - I hope he got them back again. This post made me smile as my eldest son is about to move out into a flat. Many years ago I told him that when he left home I'd replace him with a black labrador....Looks like I'm living up to the English stereotype.